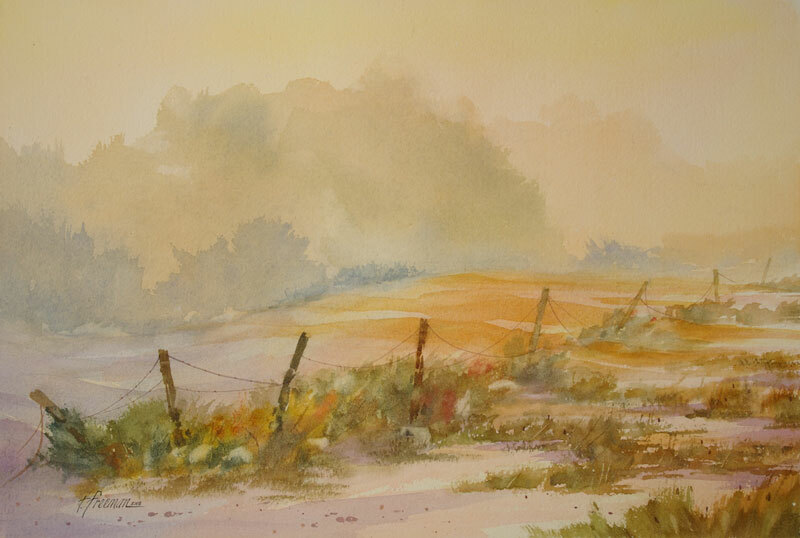 Thomas Freeman Original Watercolor Painting: "First Light"
For this imaginative painting I started with the sky and painted so as to achieve a mixture of soft and hard edges. The opening in the hill suggested a meandering creek. The foggy trees had to be carefully painted since water spots or hard edges would destroy the misty look.